Members of Chicago IAM Automobile Mechanics Local 701 receive the DePaul University Labor Education Center “Solidarity Award” for their “courage, dedication, unity and solidarity” during a seven-week strike last year that ended with industry-leading increases in mechanic wages, benefits and working conditions. 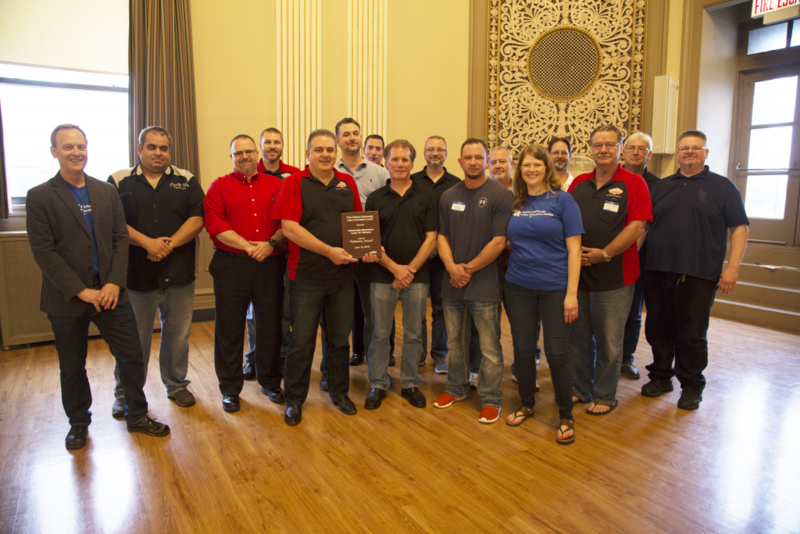 Members of Chicago IAM Automobile Mechanics Local 701 were recently honored for their “courage, dedication, unity and solidarity” during a seven-week strike last year that ended with industry-leading increases in mechanic wages, benefits and working conditions. 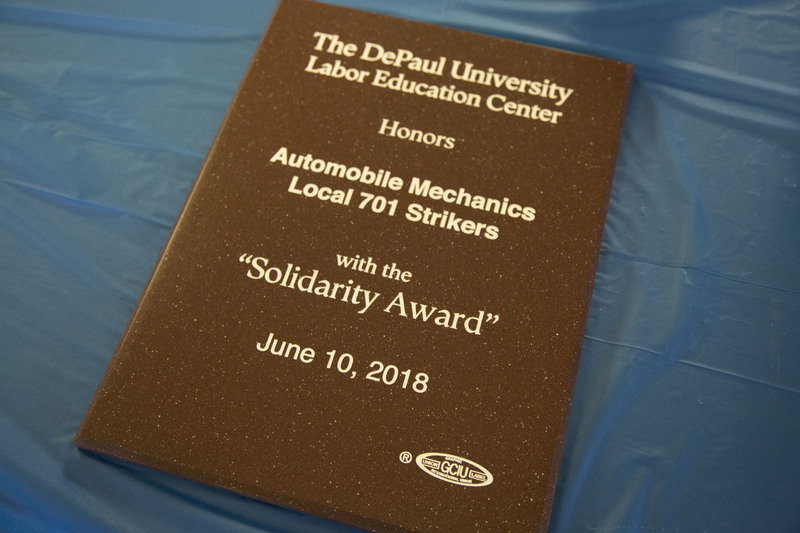 Chicago’s DePaul University Labor Education Center presented the more than 1,900 members with the 2018 Solidarity Award Sunday. Local 701 Directing Business Representative Sam Cicinelli accepted the award on behalf of the members – but under one condition, said Cicinelli. “I took a call from the Director of DePaul’s Labor Education Program in early March,” said Cicinelli. “She said she wanted to award me for ‘leading a successful strike’ and for doing a ‘great job maintaining the continuity of the members.’ My response was that I was honored to accept the award under the condition that the award wasn’t for me, but rather should go to our members, all 1,949 of them, who laid their tools down and took the initiative to say enough is enough and fought for a respectable agreement. The Chicago IAM Automobile Mechanics Local 701 is the largest mechanics union in the U.S., representing more than 6,000 highly-skilled craftsmen in the automotive industry. The strike, which took place at 130 new car dealerships across the city of Chicago, had a tremendous effect on the automobile industry across the country, setting new standards and shedding a much-needed light on the industry’s shortcomings when it comes to fair wages and attracting younger workers.